Special lenses are required for EUV light, in the form of mirrors that often contain dozens of extremely thin layers. How can they be made atomically flat, how can intermixing of the layers be avoided, and how can they be protected from the harsh operating conditions? Answering these questions requires insights at a fundamental level, supported by direct observations on the atomic scale. The thinnest possible materials are graphene and related materials with a thickness of just one single atom. This class of ultra-thin films is of interest as they may protect optical components and reduce friction. Our group works on novel ways to build such films atom by atom, with the structural perfection required for such new applications. 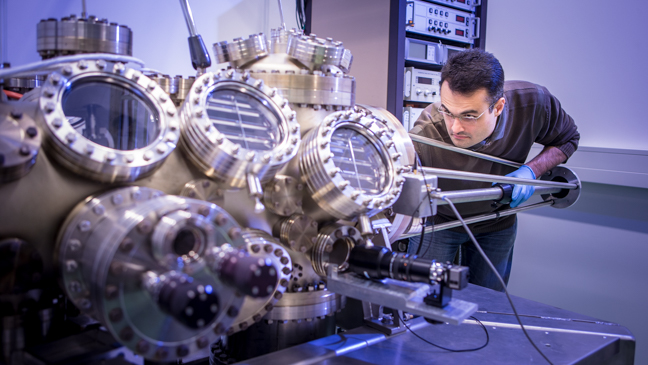 For its experiments, the Nanolayers Group has constructed its own unique instruments. 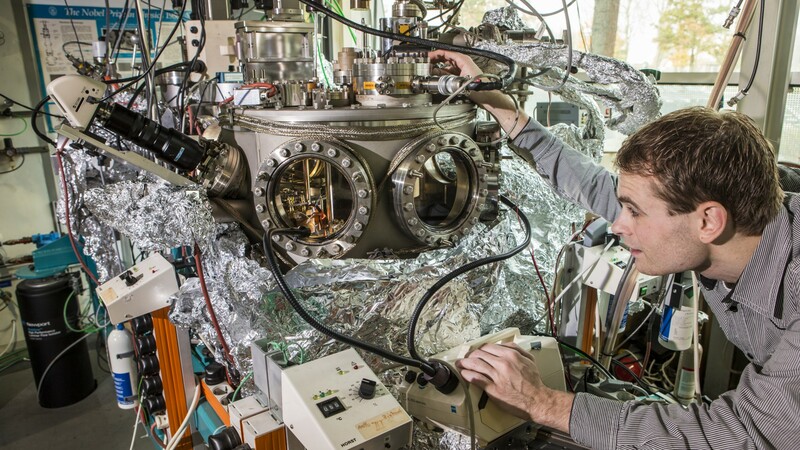 For instance a scanning tunneling microscope (STM) that can ‘see’ where a single atom lands on a surface and an STM that operates on materials as hot as 1000°C. In addition, the group has access to AFM, SEM, XPS and a variety of additional tools to manufacture, modify and inspect surfaces and thin films.